I was again invited to be a judge in the National Finals of the STI's App & Running Android App Development Competition. This year, the venue is in Bohol. We arrived in Tagbilaran Airport on the morning of March 2. I found out that the competition will be in STI College Bohol in Panglao. It was around 21k (around 30-minute travel) from the airport. We went to the campus to drop off some things for the competition and went straight to Hennan Resort Alona Beach were we will be staying. Our rooms are not yet available so we had lunch first at the Coral Cafe.We were able to checkin around 2:00 PM. We're supposed to go to back to the campus by 4 but we were told late we can have the day off. I decided to visit a few places in Tagbilaran in less than 2 hours because I need to get back at around six in the evening. I talked to a habal-habal driver outside so he could tour me to a few places in the city and bring me back. Our first stop was in the Blood Compact Shrine. 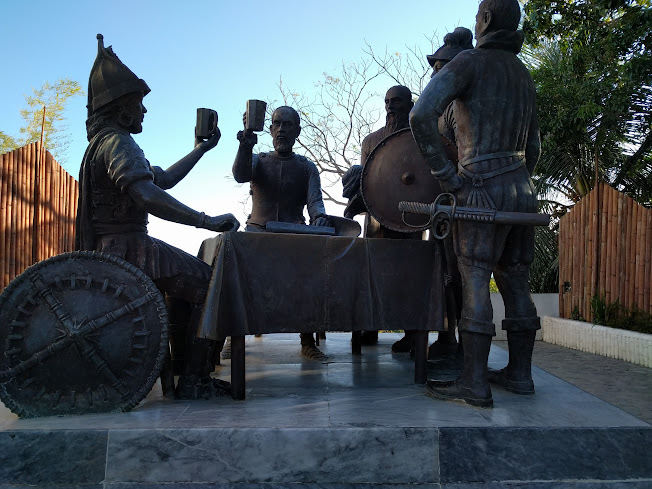 The blood compact between Sikatuna and Legaspi in 1565 was the first international treaty between Spaniards and Filipinos. Before going to our next stop, I bought Kalamay and a few keychains. Baclayon Church (Church of Our Lady of Immaculate Conception) was our next stop. It has been declared as a National Cultural Treasure by the National Museum. 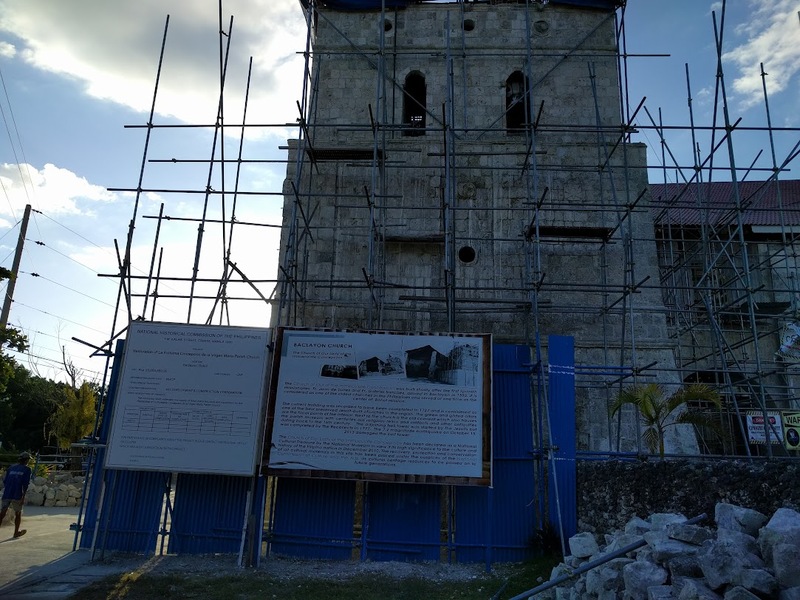 The church was closed because it is still under repair due to the 2013 earthquake damages. There was an ongoing mass at that time in a covered area (which is the temporary church) when we arrived there. I just took some photos and prayed before leaving. The last stop was Bohol Python and Wildlife Park. 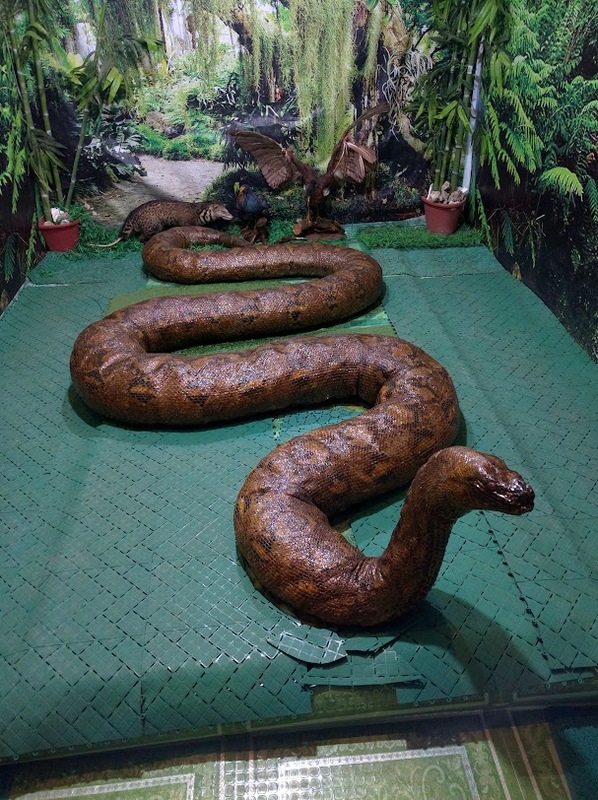 This was the home of the biggest and longest snake in captivity, Prony. There were other snakes there too. I just took a few pictures. In the evening, we had dinner with STI organizers and the other judges at Trudi's Place Restaurant. This was my first time to visit Bohol. More photos of my trip is available here. Hopefully I can be back to visit the Chocolate Hills and other places.